One of the most important things you should know, when it comes to replacement windows, is that there are actual benefits to taking care of this project. 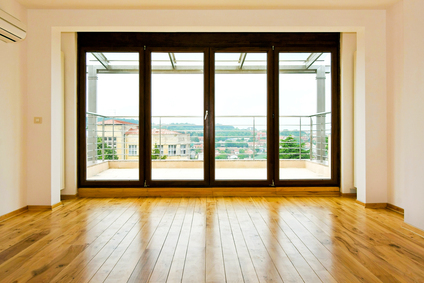 From Chester and Delaware County to anywhere really, updating and upgrading your windows can have some real advantages. While many homeowners wait until there is something really wrong with the windows they already have, studies indicate that probably means you are waiting too long. Take care of changing out your windows before you absolutely must and you are going to see more advantages to this approach. Don't just research the types of windows you could have, find out more about what these new windows could do for your home. More energy efficiency - Better quality and better insulated windows are ideal for helping to make your home more energy efficient. This means you will notice lower monthly, utility costs so you recoup your upfront investment over time. Eco-friendly - Better energy efficiency also means better for the environment. Now your home can be more "green." Better UV ray protection - Newer windows come standard with improved UV ray protection so you can rest assured that your furniture and flooring are less likely to be faded or damaged by harsh UV rays. Noise reduction- this is one of those great bonuses few people think about, until they notice the difference in their own home. This is especially important if you live near areas of high traffic or have a new baby that is more prone to waking up at the sound of every outdoor noise. Of course a lot of getting the right windows has to do with selecting the right team to get the job done. At Window's Plus we have been in window replacement and related home renovation services for close to 30 years now. We know what it takes to help your home reach its full potential. This means making the home look its best but also helping to make sure it is increasing in property value, as well. We want to help transform your current house into the home of your dreams. You will be surprised at what a difference new windows can make. And we want to be there to help you understand all of your options, as well as offer guidance so you make the best choices possible. Never settle for less than the best when it comes to taking care of your home. This includes the Chester and Delaware County replacement windows you opt for on your Chester and Delaware County home.